While our adventurers huddle in the dark caverns, Smaug's approach brings terror and horror to the citizens of Lake-town. Tolkien does a lot with very few pages in this chapter. The battle is framed, and the motivations and intentions of our actors are laid out. The guards of Lake-town (which I now realize is named Esgaroth) mount a defense against the incoming dragon while the Master seeks to save himself among the confused panic. We get their determination and desperation, as well as Smaug's cunning and hunger. We also meet Bard, not a man haunted by legacy or the derision of the town, but a man known for his grim-outlook but also for his worth and courage. He stands as the captain of the archers holding the line against Smaug's wrath, and as the man the thrush brings news from the mountain. The black arrow is one of legacy, but not one of legend, an arrow that has served Bard and his father well over the years. An arrow used by a normal man with a normal bow. Tolkien also shows us that the Master isn't in a position of power based on fear alone, but on his skill at oration. He knows how to sway a crowd, to redirect wrath onto a target of his choosing. He is a man of greed, but also a chameleon at need. 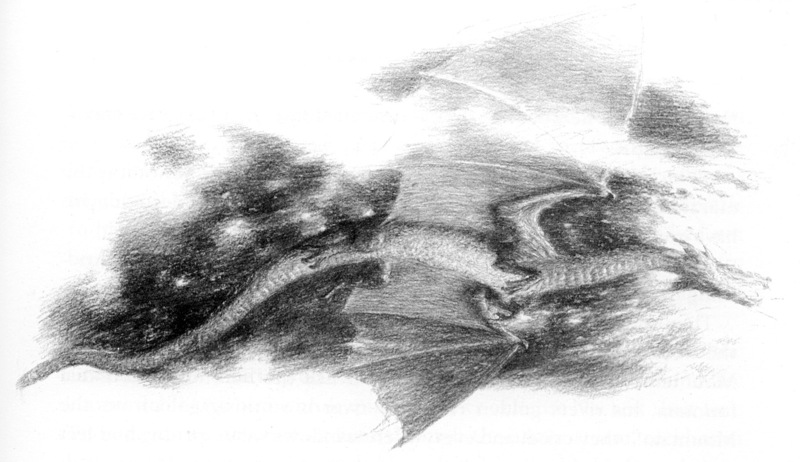 Maybe it's just me, but watching Smaug fly from the mountain, all I can think of is how happy he looks. So... I've been a little harsh on Bard's role in the film. I do understand the need to establish him as more than just the "grim-voiced man." 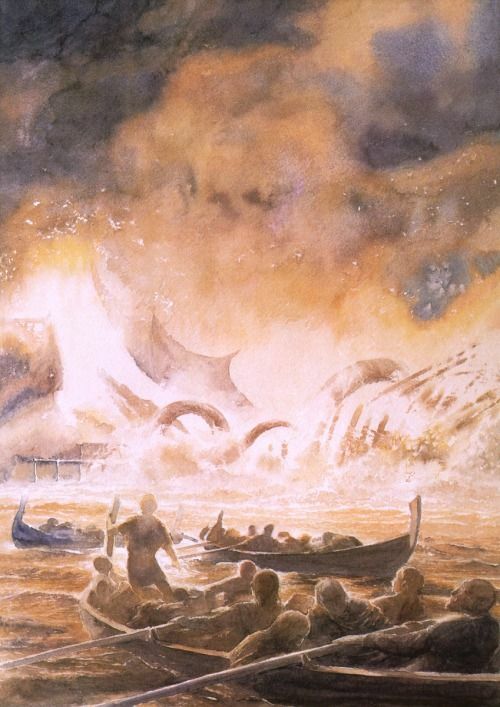 But let's be honest, Smaug wrecking havoc would have still been amazing in a rendition more true to the text. There's no battle here, just citizens running in fear and Assassin's Creed level stunts framing Bard's efforts to take out Smaug, sprinkled with some slapstick. Add in the iron ballista bolt of fate (and really, he thought he'd be able to shoot that thing with his regular bow? ), and I'm just left feeling like it's a lot of gold plating without any substance. The heroism of the moment that they took all this effort to build up around Bard, the underdog, takes away from Bard as a pillar of strength. The Master's follies and selfishness are amplified, but done so though Fry's excellent acting ability. I could have done without some of the slapstick. As for Albert, I can't tell whether I hate him, or love to hate him, and honestly, I'm OK with that. Obviously much of the Master's role after the escape from Lake-town was shifted to Albert. Gods, he's a despicable worm. I'm having trouble cutting out profanity at the stupid love story line. So let's just leave it as a brief restating as I feel that the love triangle demeans Tauriel and resulted in excessive and stimulating additions to the movie. As for the other additions not otherwise covered we know that Gandalf's incarceration is limited, and at least at the end of this the dwarfs are all finally ending up in the mountain together (since we're filling out things in chronological order).